Who would have thought that 3D could be much more than just ink and paper? 2014 is the renaissance of brand new 3D! In the future generations, when people would hear the word 3D, they would probably think of a variety of things not just a simple screen. 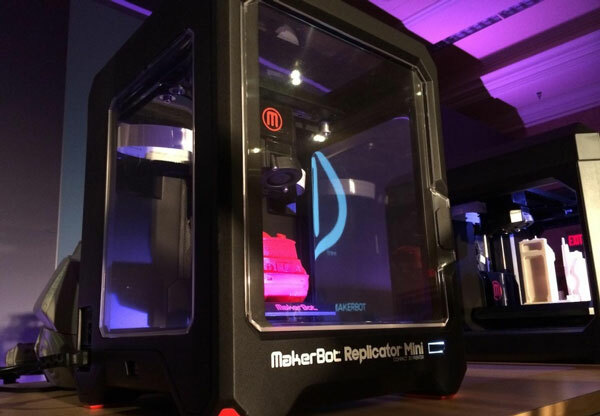 MakerBot Replicator Mini revealed that it is possible to produce a 3D image as an object. At this stage, only 3D printable toys can be produced that are going to be available in a digital store. People may be wondering why we must go for 3D Printing? In my opinion, aside from experience, you can keep 3D printed objects as memorabilia, home or office decorations, wedding tokens, and you can give these away as presents for any occasions. Here’s how MakerBot Replicator print 3D! I have also seen photos of 3D chocolates and cakes! 3D Systems have this machine called Chefjet Pro 3D that could produce edible sugar in full color. Perhaps one day, we’d be able to see more things from this innovation of 3D. It could be a common household, may also be a good use in criminal investigations, schools, security checks, engineering and architecture. So, would you spend to 3D Print yourself? I’m Sassan, a proud mother, a political critic, technology fanatic, mobile phone enthusiast, blogger and a newbie domaineer. Curious which among these three tech giants – Apple, Huawei, and Samsung – produced the KING of smartphones in 2016? iPhone 7, Samsung S7 or Huawei P9: What to get for Christmas?